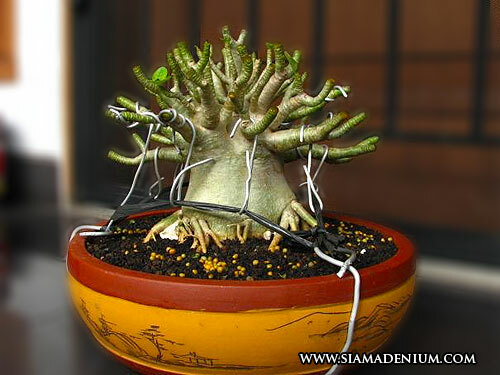 Fun with Form Part 4 "Beauty with Knife"
This adenium is Arabicum : Dwarf RCN in bareroot shipped to a friend of mine from Indonesia and let's see how he worked on this adenium. 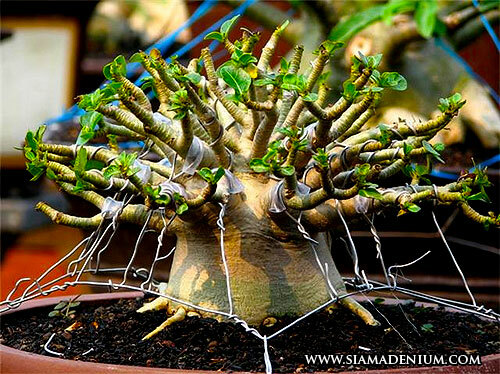 walk a fine line when it comes to bonsai, requiring a perfect balance of science of growth and art, something that takes time to learn. 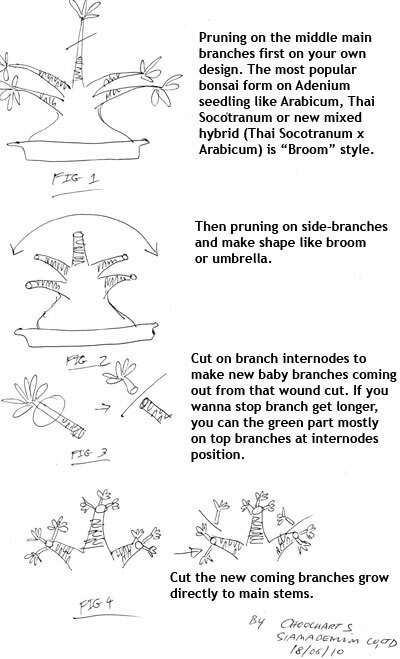 We have 3 different kinds of pruning techniques. 1. 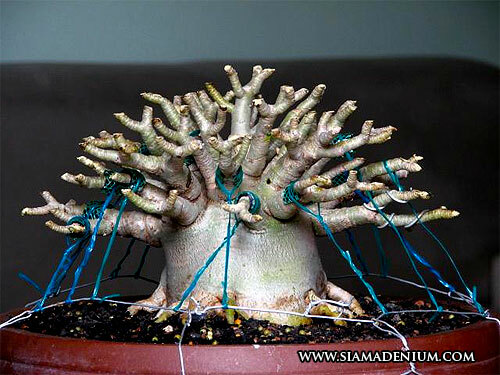 To improve or modify plant body’s shape to become better form or wanna big change from original form to another one, this method we always need to have most cut close to caudex. 2. 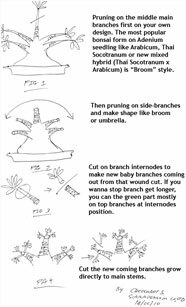 To adjust some branches to be able to make much more order or more branches in order to correct some defect angles. 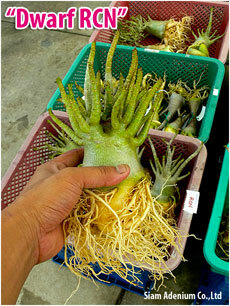 This way we just give them a little pruning. 3. 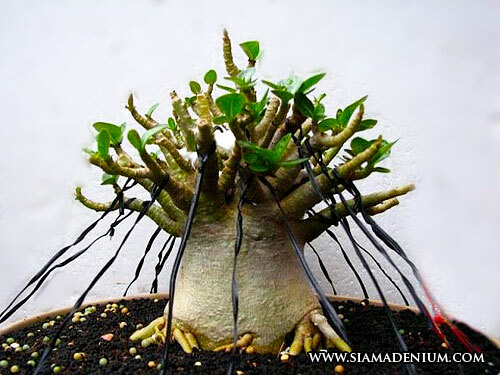 To boost new branch babies or new blooming. You can prune their branches deeply or shorten and also give flower’s fertilizer at the same time to speed up flowers. 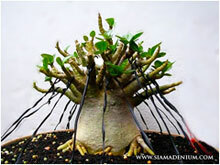 When new branches come up, they will give full blooming. 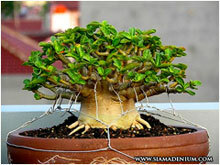 As you can see, how to prune your adenium is not a complicated subject but it is a necessary one. You have to prune your adenium means of maintaining the correct shape of adenium, while encouraging new growth. What you will discover is that some adeniums respond naturally and very well to pruning while others have a hard time recovering. Again, the key is to prune only in the right season for the type of adeniums you have. 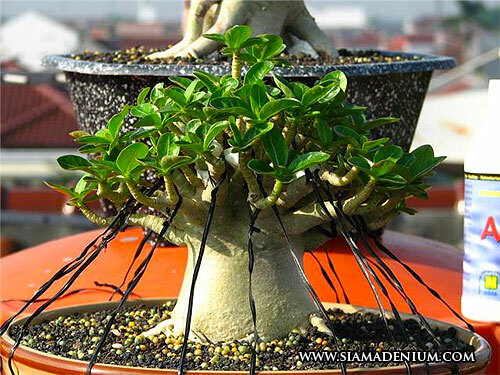 Pruning’s objective with Adenium Obesum is to make more flowers and bushy form but doing on Arabicum and Thai Socotranum are different mostly focused on form. 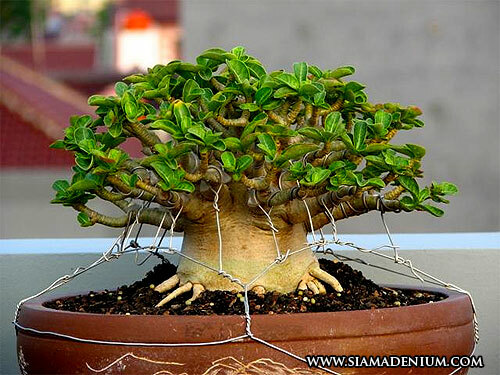 I hope you this pruning technique will make you get more fun with adenium's growing. Have a nice day.